Black Friday is known for its low prices and limited-time discounts. However, because photography is a service, it often costs us money if are trying to discount our services deeply. In addition, our products aren’t always marked up enough to justify a deep discount. So we need to think of something else that is extremely enticing to our clients and prospective clients. I recommend focusing on your past clients (and not prospective clients) who have already worked with you and that you have a relationship with. This will ensure that you’re not going to lose your shirt if you get a ton of new people to buy something that’s grossly under-priced. 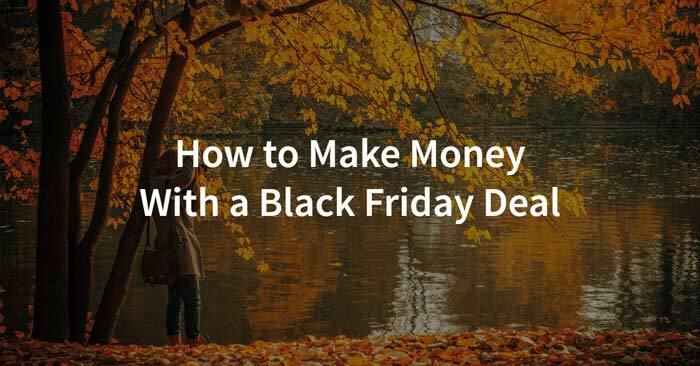 In addition, use this opportunity to offer something you might not already offer to your past clients that is ONLY available during the Black Friday sale. Discounted prints from any past sessions you’ve photographed that aren’t from a current, active client. If you do it with current clients, they might not place a regular order. But for past clients who have already placed orders and most likely aren’t going to order anything else, this is a great opportunity to get an additional sale. I recommend using Shootproof (affiliate link) and connecting it to your lab so that all orders are fulfilled and processed automatically without you having to do anything. Just make sure that you’re pricing the prints so that you’re still making a profit on them after you pay for the lab costs. You might also consider selling the digital images from past sessions as well. This could be especially profitable if you don’t normally sell them to your clients and do it for a limited time only at a price that is worth it for you. Remember, they would be clients who have already finished their order and would likely not be buying anything else from you from that session in the future again. Think metal Christmas tree ornaments, brag books, bamboo prints, etc. This is a great opportunity to book clients during your down season when you can afford to charge a bit less because you wouldn’t otherwise fill your books with full-paying clients. You might offer discounted gift certificates for certain things (session fees, product vouchers, etc.) You need to make sure that you’re still able to make a profit from this even if they buy your item or service with the least amount of profit margin, so re-run your numbers before doing this. However, it can be a great way to make some extra cash. Do note that in some places, gift certificates cannot expire (by law) so make sure you look into this before putting an expiration date on it or other limitations that you might want to add but can’t legally. Generally speaking, offering something that is ONLY available for these few days and not at other times is going to motivate people to buy it. Also, describing products as great gifts for others is a great way to help encourage people to buy something meaningful for family and friends and not just something that has no meaning at all. The very best way to get the word out about your sale is to email past clients directly using a service such as ConvertKit (affiliate link) to make sure you’re complying with the laws regarding commercial emails as laid out in the CAN-SPAM Act. Email is best because you know that everyone will receive it in their inbox and have a chance to see it. You can’t say that about Facebook or other social media accounts. You can also use your Facebook page or other social media accounts to advertise the Black Friday sale, but the most effective way to do it is by using this specific Facebook Ad strategy to make sure you’re only targeting people who are actually potential or past clients. I’d recommend emailing people a few days prior to the sale so that they can plan out their day and make a point of stopping by to take advantage of your offer. Then email them again the day of the offer and one last time on the day the offer closes. How long should you run your sale? There’s been a disturbing trend to make Black Friday start earlier and earlier every year, with some people starting sales over a week in advance of Black Friday and then lasting for a few weeks. However, I honestly believe that this hurts more than helps. The shorter the amount of time that the sale is available, the more likely you are to get people to act on it immediately and not procrastinate. I’d recommend doing your sale no longer than from Thursday or Friday through Cyber Monday at the latest. Or, you could do from midnight to noon on Black Friday only and do a shorter sale. You’ll still see huge returns on this because the short time frame that people have been made aware of in advance will give them more reason to put it on their calendar and act as soon as it’s open. You might also want to sign up for the Amazon Affiliate Program to make a few extra dollars by mentioning other good deals that they may want on Amazon in your emails and Facebook posts. The Amazon Affiliate Program pays between 4-10% of any purchases people make within a certain number of hours after clicking one of your special tracking links to their site. For example, if you link to a good DSLR for a photography enthusiast and they click to check it out, you’ll make a small commission on ANYTHING they buy in the next few hours, whether they buy the camera or not. There’s a few rules you need to know about it to stay legal and not get kicked out of the program. First, you can’t use your own link on your own purchases. You’ll get kicked out, so don’t even try it. Second, you need to disclose to people that you make a commission if they use your link. But most people don’t care at all. So when you email your audience about your sale, you could also link to a few items they might be interested in buying as well, earning you additional passive income on the side. I made an extra $150 from mentioning this to clients in just 6 weeks before The Modern Tog had ever been started. And if you’re an Amazon fan and plan to do some shopping anytime soon, I’d love it if you’d return the favor of sharing this tip with you by using my link (or bookmarking it for the future) when you shop there, thanks! Here it is: www.themoderntog.com/go/amazon – Bookmark it now (thanks)! Black Friday is a great time for you to pick up some insanely valuable resources that can help you grow your photography business. In the past, I’ve done a monster post of Black Friday deals and promos for photographers so you can see all the deals conveniently located in one awesome place, saving you time and money. However, this year I’m ONLY going to be showing you the BEST products and deals out there to keep you from wasting money on stuff that isn’t worth even an extremely discounted price. So it should help you find the best of the best of all the sales. If you want to be notified when the list is live, sign up now for exclusive insiders newsletter. You’ll get a free ebook as a thank you for signing up called “5 Common Mistakes That Lose You Business (and How to Attract Your Ideal Client Like Crazy)”.